This was a day that we all wish never happened but will remember for many a year. Two groups of young (and not so young) men came together to remember a friend, teammate and comrade. A crowd of some 500 joined them to celebrate the life of a man who was taken too young. The evening began with a poignant last post and minutes silence with both teams lined up across the pitch. The match was kicked off and a very entertaining game of three twenty minute periods ensued, with the ball being thrown about in barbarian style but with no quarter being given. The match ended in the Former Colts side edging out the Army Air Corps by 34 – 24. There then followed one of the most bizarre 20 minutes of rugby that has been seen at Redruth. All of the shirts were thrown into a pile and the players each selected a shirt in turn which ended up in Redruth seemingly having about 25 players to the army’s 20 with just about everybody playing out of position. Despite this the Army side (with some unlikely recruits) won 17 – 5. With honours even at 1 – 1 both side were warmly clapped off the field by the enthusiastic crowd. In the clubhouse Dave Tresidder gave an excellent speech recalling the time James spent with the colts and Craig Bonds presented to Tracey Walters the actual shirt James wore as a colt. 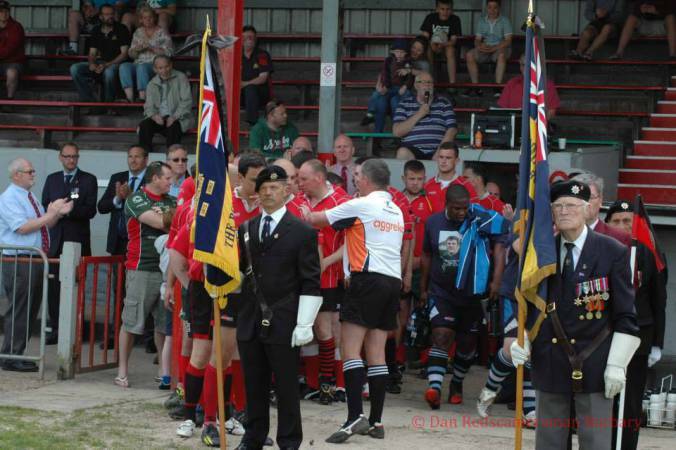 Redruth shirts were also presented to the Army and to Farnborough Rugby Club where James played his rugby recently. In return the club received from the Air Corps a magnificent large framed photo of a Lynx Helicopter by night. An auction then took place with proceeds going to the Turner Syndrome Support Society, a charity close to James’ heart. 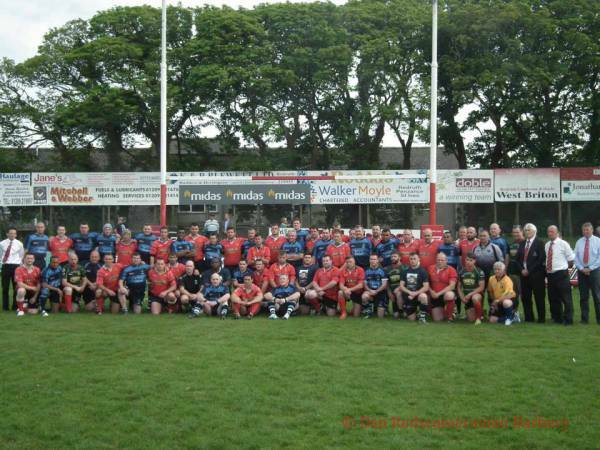 The biding was as competitive as the rugby and over £10,000 was raised. Great effort. Well done to all who supported and helped to organise the match and helped to celebrate the life of an admirable young man, gone but certainly not forgotten.